As best I can tell the Encore Mavis Beacon OS X software is a derelict and abandoned product that's sold cheaply but worth nothing. Sadly, that's the only version Amazon ships directly. I think they're confused. They really should change the name of the product. By the way, Mavis Beacon is an invented person, but her image is from a 1985 picture of Renee Le'Esperance. It took me quite a while to sort out the Encore vs. MacKiev story, but now you know. Overall score: 8 out of a max of 13. A passing score, but they'd do much better if they'd document an uninstall procedure. The paper manual, which feels like a relic of another era, pushed them into a respectable range. The install is a 600MB package in the normal Applications folder. As best I can tell it doesn't install anything else. I suspect the uninstall is a simple package to trash delete. If they'd only documented that they'd have gotten 11/13! I installed from my admin account, removed the CD, and launched from the kids user account. I downloaded and applies the latest patch. That patch was labeled as a "10.6 upgrade" but it includes some functional changes. It installed well in 10.5 and 10.6 in my testing. You don't need the CD to run the software, everything is installed to disk (you do need disk space, but that's not an issue for most users any more). The only minor glitch was that I installed in an account that didn't have iTunes setup and it complained. It asked me to install iTunes first. It comes with its own music set, so iTunes isn't even needed. We've just begun using the product, but, really, I'm impressed. It's elegant, fast on my older G5 as well as the iMac, and it's a rich product. Two of our three kids went at it immediately, the girl doing lessons and the boy doing games. It's designed for multiple users. In the "Learning account" each user gets their own login. User profiles can be exported and imported. I'll update my review as we learn more, but it looks like a winner. PS. Amazon version of this review. PPS. 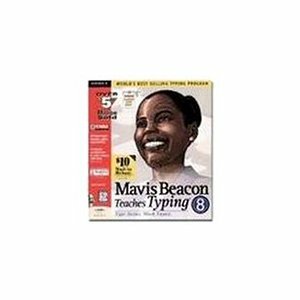 Amazon's top rated Mavis Beacon is 1994's version 8 for Windows 3.1 by "Mindscape"- it's still for sale. I wonder if there's any other 16 year old software sold on Amazon? 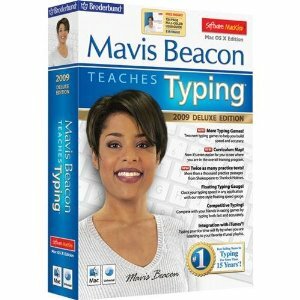 Thanks to that version we can see how Mavis Beacon has changed over time. I wonder which is closest to the original model? 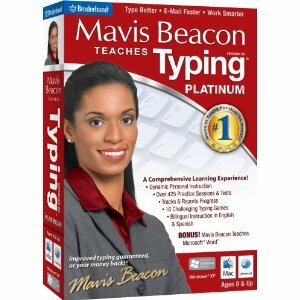 The 2011 Ultimate Mac Edition of Mavis Beacon Teaches Typing came out today, and because we'd read this review, we've brought back the Dvorak keyboard and added uninstall instructions in the user guide (page 17). I'd be happy to send a copy of the new edition for a followup review if you drop me an email with a shipping address at info@mackiev.com. I missed this comment when you wrote it Jack, only saw it today when looking at your 2011 World Book offering. I'm writing a post on this one. **Box still says Broderbund because Encore owns Broderbund!